Summer is great. The weather is warm enough for shorts and t-shirts, the water is (in some places) warm enough for swimming, and teens get a whole three months off of school. But it turns out summer is incredibly dangerous for teen drivers and motorcyclists. This week, AAA released a new report showing that seven of the 10 most fatal teen driving days occur the summer months between Memorial Day and Labor Day. So in addition to enjoying to their summer, teen drivers can take the summer to improve their knowledge of driver safety and even study to take their California drivers license test. Take a minute to study safety statistics and summer safety events with our resource for California teen drivers. There are a number of actions that parents and teen drivers can take to reduce the chance of a teen car accident this summer. First of all, write a parent-teen safe driving contract to assure that the driver is obeying all traffic laws and steering clear of dangerous decisions like distracted driving. 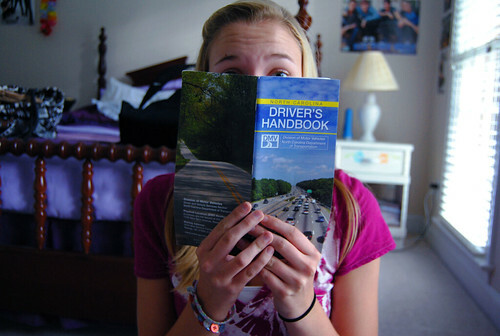 Since teens can get their drivers permit at 16 and unrestricted licence at 18, the summer months are perfect for boosting knowledge for the drivers tests. Once you’re ready for the test, visit a California DMV office and get your license.